(Newser) – Some scientists get to have all the fun, especially those who live in the land of beer. A team of researchers led by Dr. Felipe Reinoso Cavalho of Vrije Universiteit Brussel in Belgium set up an experiment to investigate whether music and packaging affect one's perception of taste. The big takeaway: Yes, it does, and apparently "significantly" so, reports Medical Daily. 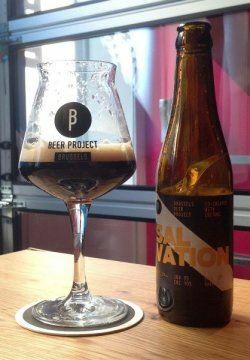 The researchers partnered with the Brussels Beer Project and UK band the Editors to test a porter-style beer created especially for the experiment, they report in Science Daily. They had three different groups taste it in under different conditions, one with an unlabeled bottle, one with a labeled bottle, and the last with a labeled bottle while listening to a particular song by the band. Yep beer sure tastes good except I always get a crick in my neck watching all those gyrations and BOOMING music at the TATA bar.. If you like the song, you'll probably like the brew I always had the opposite philosophy. If you like the brew, you might like the song. Kinda' like "beer-goggles" she might be a little chunky, but hey the brew tastes good and her face isn't too bad.